At Your Leisure: Third Time’s a Charm? 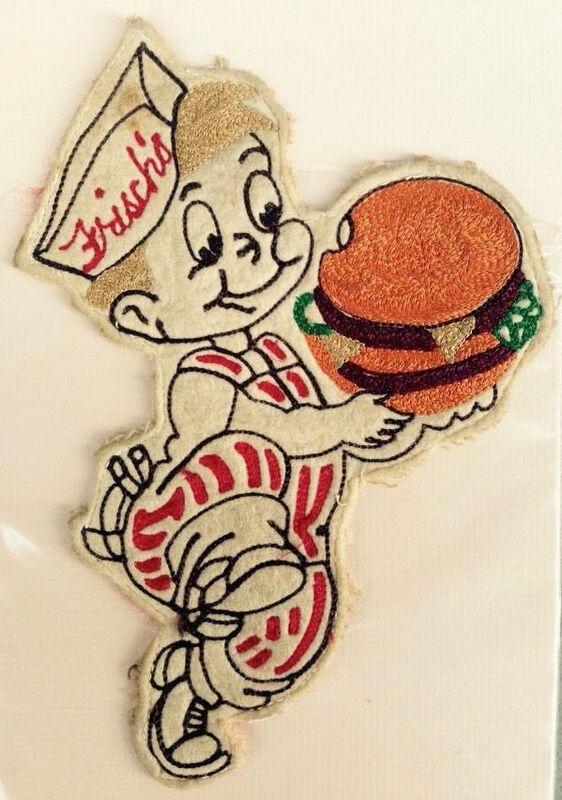 This is a patch that a Frisch’s carhop would have worn during the Fifties and Sixties. Some sizable restaurant news hit this past fall. The CEO of the Atlanta-based company that bought the iconic Frisch’s Big Boy chain of family restaurants announced bold intentions to expand throughout the Circle City. While some may roll their eyes at yet another out-of-state chain eatery setting its sights on our seemingly ever-expanding waist lines, this is hardly the first run-in we’ve had from the giant burger wielding caricature who stands guard in front of every location. Many can recall two failed attempts the Cincinnati institution made on cornering the Indy burger market. Frisch’s can trace its roots back to 1939, when David Frisch purchased the Mainliner restaurant in Fairfax, Ohio, after a failed attempt at running a family restaurant. This restaurant was the first drive-in in Ohio and featured seating for a mere eight customers but could offer curb service to some sixty cars. After meeting with another restaurateur by the name of Bob Wian, who gave Frisch exclusive rights to market his “Big Boy” hamburger throughout the Midwest and Southeast. 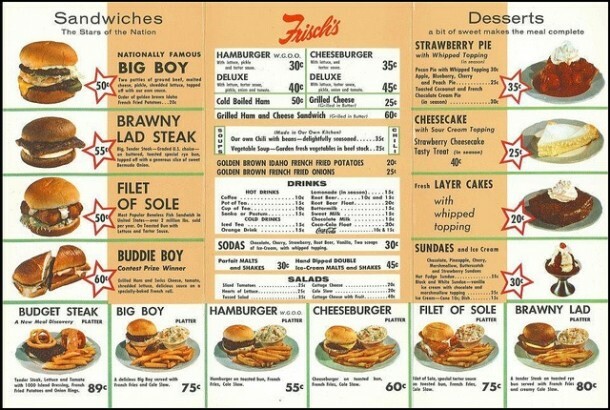 In 1947, Frisch’s Big Boy was established and quickly grew to 170 restaurants! Growth in Indianapolis came fast and furious. Between 1958 and 1963, Frisch’s grew to fourteen locations. This was second only to local favorite Burger Chef in regards to number of locations. 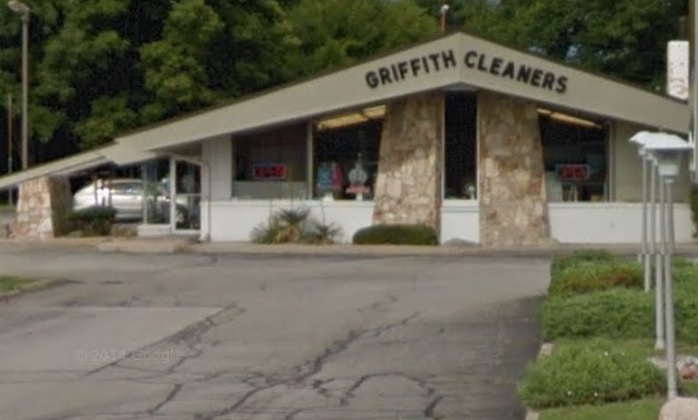 City locations included 2411 West 16th, 2201 Broad Ripple, Eagledale Plaza, 2054 North Meridian Street, 1142 Shelby Street, Southern Plaza, and Irvington. 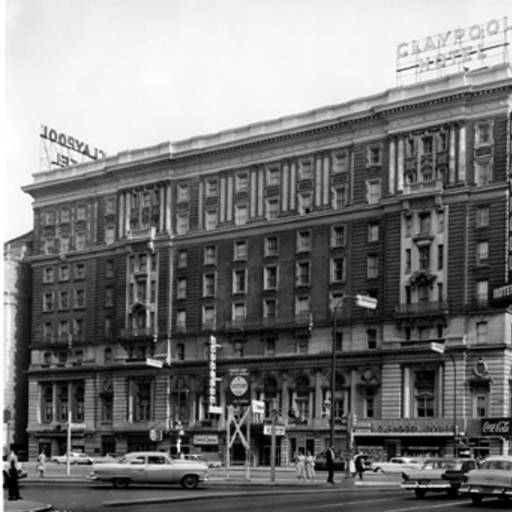 A downtown location in the Illinois Building served up hungry businessmen and shoppers. The location at 4189 North Keystone recently served as the longtime home of Murphy’s Steakhouse. 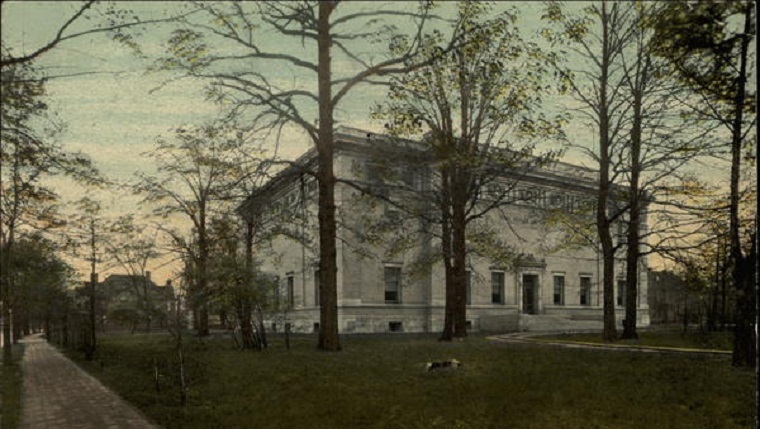 Outside of the city, there were locations in Speedway, Lawrence, and Augusta. In 1962, the emerging chain took over the popular Northwood Drive-in on North Meridian Street. Perhaps this rapid expansion oversaturated the market, or maybe the corporate management wanted to focus on its core market of Cincinnati. Little was written about the sudden departure of the restaurant chain in 1970. All of the stores were either repurposed or demolished. Frisch’s second stint in the Indianapolis area came about in 1988, when a new store in Plainfield opened just off of Interstate 70. Through the early 90’s, ten other area locations set up shop in suburban locations. This next generation of restaurants was decidedly different from their 60’s counterparts. Gone were the drive-in canopies and car hops, replaced by the ever-so-convenient drive-through window. Large, brightly lit dining rooms featured a soup and salad bar to entice diners. This new incarnation proved to have the staying power of the previous ones, as the company closed all area stores without warning in July of 1997. The Augusta location near 71st Street and Michigan Road now serves as a dry cleaners. Time will tell if the third time will be the charm for this otherwise successful operation in Indy. Until then, you can always get your Frisch’s fix at a holdout franchise in Anderson. What are some of your memories of this on-again, off-again relationship? The Big Boy locations I best remember were Irvington on Washington Street near Richard Bennett Furniture, at Crawfordsville and High School Roads in Speedway, and at Post Road and Pendleton Pike. As to the why’s and wherefore’s about their 1972 closing? I seem to recall the stores always being busy, inside seating and car service. Clean, great service, good food. Frisch was making good money in Indianapolis. My understanding was that Frisch corporate needed fast cash, and a Nebraska chain called King’s Food Host offered it. Some stores closed. Most rebranded as King’s. King’s food was painfully bad in comparison to the Frisch product. 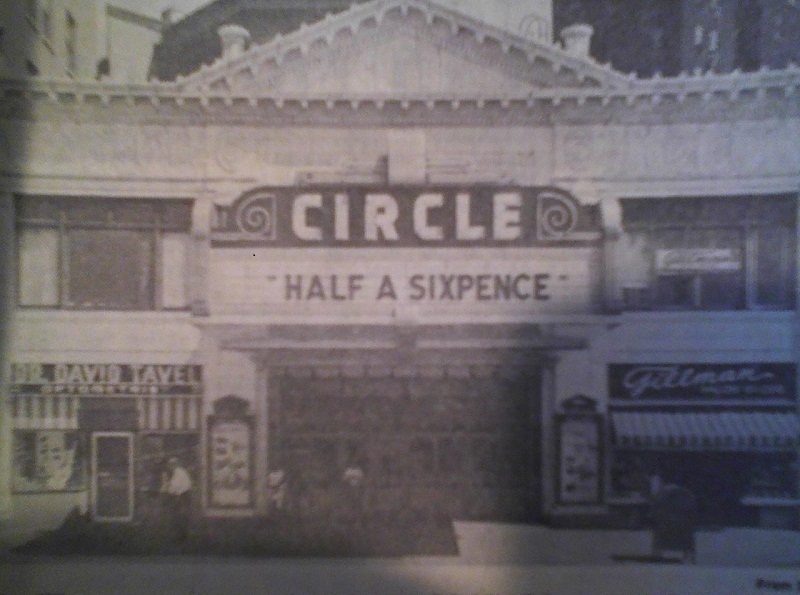 I remember eating at the Irvington store not long after the name change. The place was dirty. Service poor. Dining room near empty. I seem to recall that, oddly, rather than print new menus for the acquired Indpls locations, King’s cut corners and shipped tattered dirty old Nebraska location menus to Indpls. It was my family’s first, last, and only King’s Food Host experience. Kings had expanded too quickly, and the chain failed by the mid 1970s. I seem to recall some type of multi-year non-compete (though I’m not sure who with) that kept Frisch from returning. They opened a Plainfield location first, then started to expand back into Marion County. I never saw the same crowds in those late ’80s into the ’90s stores. Too many other choices with similar menus. Shoney’s had come into Indpls a few years earlier, and while not offering the Big Boy by name they carried an almost identical menu to Frisch, held over from their years as the southern Big Boy franchisee. Oddly, I always sensed a bit of residual anger from potential customers still upset that Frisch had left them years earlier. As for Frisch Big Boy take three? I wouldn’t bet the family farm on any success. The market is far too competitive. How many chains have come and gone since Frisch first left the market? Once you’re dead, you stay dead. Thank you for the perspective Jack! I wasn’t around for the first go-round but grew up in Plainfield and remember Frisch’s opening well. 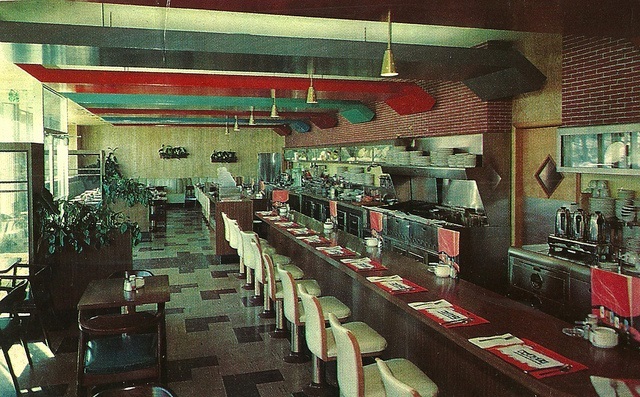 It was the first restaurant at the highway 267 exit and it was always packed. These days every imaginable franchise is represented at that same exit so you are probably spot-on with competition aspect. As long as I can indulge in a Big Boy platter and slice of strawberry pie when I visit Cincinnati I am at peace. My waste-line probably is as well. My family often went to the Eagledale Big Boy, and a few times to the Speedway location. When the Speedway location closed, it was bought out by a King’s Food Hosts. Their signs on every table announcing their policy of not giving free coffee refills undoubtedly contributed to King’s quick demise. I believe Charlie Brown’s was the next restaurant there, then Burger Chef/Hardee’s, who replaced the original building with their own. I saw the same thing happen at the Irvington location, as well; that parsimonious attitude no doubt helped lead to their quick demise around town. The whole family ate at the one at Washington and Audubon Road in Irvington (where Starbucks is now…). Enjoyed it “growing up”. That’s the one I went to when I was younger (I’m 29), and it was my first taste of the most often talked about Big Boy. I do remember seeing a few other ones in the city (or maybe I was dreaming? I was just a kid) and the famous statue of the boy. In a way, it reminded me of Denny’s (the environment I mean. It had that old diner experience) but with MUCH better burgers that a kid like me couldn’t dream of finishing. So big and tasty but wow. We were actually upset when it closed, since it was the closest one to us, and yeah…we were creeped out by the funeral parlor replacing it. The place is still there but given the area, it would have done good business had it stayed. It’s a little past Speedway, but it offered better burgers than what Applebee’s or those other places offer. I would think the only place that offered any real competition in taste to me for good burgers on that side of town is Mug N’ Bun, and I’m GLAD they’re still there. There is a Frisch’s Big Boy in Anderson on Broadway. It has been in that location for more than 50 years. 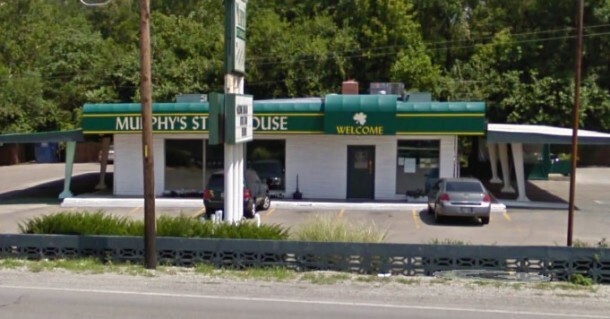 I am from Cincinnati and having moved here in the last year, I am severely disappointed by the local food fare, especially the lack of Frisch’s. I have not found a single restaurant that competes in quality nor quantity of services. Cinci may be behind the times, but at least they know how to eat with Frisch and more so Skyline, king of all chili parlors. Bring back Frisch so I can have one restaurant I actually enjoy in this oversized country city. I just happened across this article and it brought back fond memories of roaming the Indianapolis plains looking for cars to race and women to …. well.. you know? Many many years ago the “Pole” was a popular place (16th street) and I grew up with Frishes in Speedway. That was by far the one with the best cars and had a built-in drag race place, the newly laid I74 west! It was thoroughly marked for that too! Notwithstanding all the TeePees around… I think Jerry’s in Greenwood was pretty good to albeit a far piece to get there! Good times… met many good people there!